This large four bedroom family home is set over three floors and has far reaching views over open countryside. The property also comes with a garage and driveway. This lovely home features a spacious lounge with a brick built fireplace and French doors which open into the large kitchen diner which is fitted with cream units. The rear lobby gives access into the conservatory/utility room and also into the family bathroom which is fitted with a shower over the bath and is finished with full height tiling. 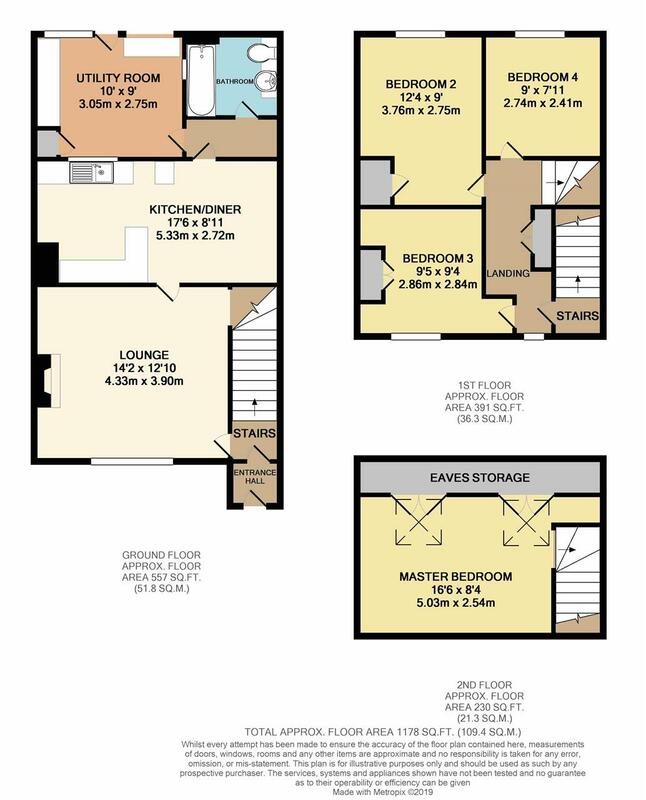 On the first floor there are three bedrooms, two doubles, one of which comes with fitted bedroom furniture and the third bedroom is a good size and would be ideal as an upstairs bathroom. On the second floor there is a further double bedroom fitted with two velux windows which offer beautiful countryside views. The rear garden measures in excess of 100 ft and is divided into defined areas, a block paved patio with raised flower and shrub borders followed by the ornamental gravel area which is surrounded by mature shrubs and then up to the lawn where there is an upper seating area overlooking countryside.